Krishna', Mysore, India, February 2017. Krishna is not only the living embodiment of the Indian small business owner / micro entrepreneur but also a perfect example of a master artisan. 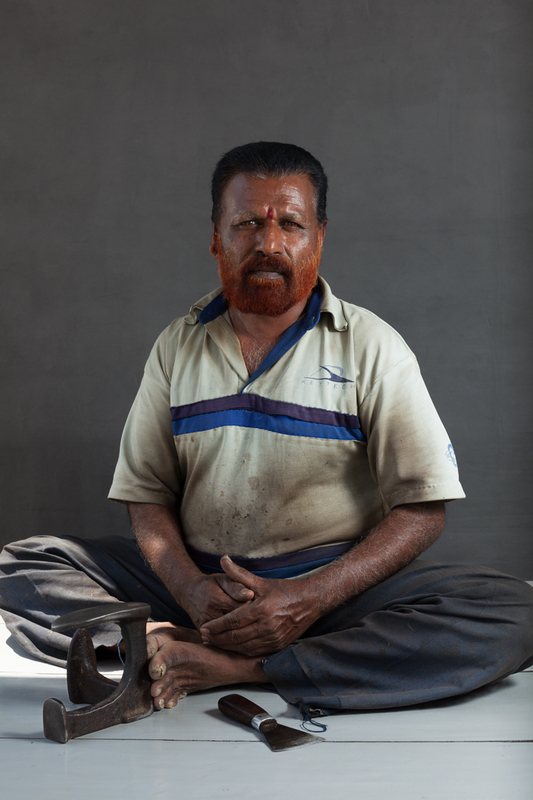 He has been making and repairing shoes by hand for more than 30 years, working out of a small 6' by 5' roadside shack in Gokulam. Krishna spends 10-12 hours every day sitting cross-legged in the corner of his small dwelling, using both his hands and feet to work his tools. His manual dexterity and skilled precision are simply fascinating.